Through ISOA’s 4 Pillars: Member Company Growth; Partnerships & Outreach; Government Advocacy; and Research &, Analysis, members receive unique benefits that are valuable and measurable. Virginia Values Veterans, Department of Veterans Services in Richmond, VA.
in Afghanistan, to resolve unfair fair taxation practices by the Afghan government. Operational Stress Impact on Stability Operations. On behalf of our members, ISOA is engaged with policy-makers and key government agencies at all levels on issues that affect the industry every day. ISOA advocacy efforts include white papers, visits to U.S. policymakers on Capitol Hill and in key federal agencies, as well as engagement with government agencies of countries where our members operate and from which they receive funding. 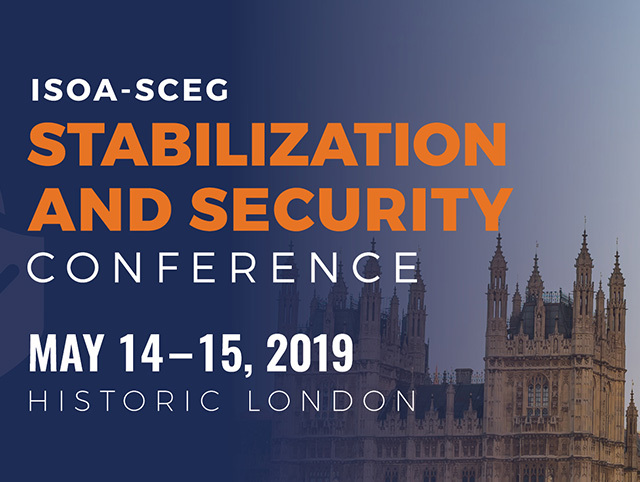 ISOA’s flagship conference, the ISOA Annual Summit is the premier event of the stability community. Bringing together policymakers, industry leaders, implementers, and experts, the Summit is the must-attend event for organizations working in fragile environments across the globe. Through sponsored events, ISOA members gain access to the unique community that is the ISOA network—from industry leaders to policymakers to the leading thinkers on stability, peace and development. Networking receptions, invite-only breakfast and lunch sessions, and interactive panel events are just a few examples of ISOA’s innovative and engaging events, providing unparalleled business intelligence and networking. ISOA is a powerful voice for the stability community, bringing your experience from the field to the global conversation in government, research and the news. The association’s flagship quarterly, Stability Operations magazine, is the world’s only publication exploring topics pertinent to public, private and nongovernmental sector actors partnering in peace and stability operations. ISOA also provides a members-only industry intelligence and business development e-communications, distributed monthly and via ad hoc alerts.